Jim Howell, CEO Grasslands LCC, presents on the philosophies behind Holistic Planned Grazing (HPG) and their mission to lead the healing of the earth's grasslands. Jim Howell is CEO of Grasslands, LCC. Jim was raised both in California and Colorado, where his family has danced since the late 1800s. He graduated in Animal Science from Cal Poly Pomona, USA completing his final year as a foreign exchange student at Lincoln University in New Zealand in 1991. Grasslands LCC operates five ranches. Four in the US (Montana, South Dakota, Florida) and Lees Valley Station in NZ. Non-members looking for more information are encouraged to use our ‘contact a nutritionist’ form and ‘member directory’ to find a member who can help them answer their questions. If you are a Rural Professional interested in joining the NZARN please see our ‘membership’ section. 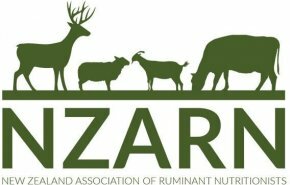 While the NZARN serves to foster and encourage rigorous discussion about all aspects of ruminant nutrition, it is important to acknowledge there may be differences of professional opinion. The views and ideas of individuals included in the comment areas may not reflect the wider ideas and opinions of the entire NZARN community. If comments are deemed inappropriate (e.g. abusive, threatening, racists, defamatory), moderators will remove the comments and a copy will be taken for legal purposes if applicable. If you would like to report a comment please use our contact form here.